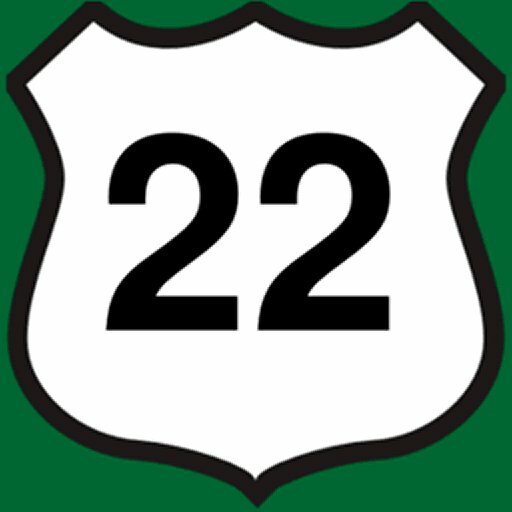 Today, we have a post that’s a bit off the beaten path of Route 22, but will still be of interest to many reading. It’s about faith-based journals (and others) from a company called Fox Chapel Publishing (they’re about 25 miles south of Rt. 22 in East Petersburg, PA). They were kind enough to send us samples in exchange for reviews on Amazon.com. So we’re going to go a bit further, by sharing our feedback on NJroute22.com and social media as well! See our video review here if you don’t feel like reading the whole thing! Next, let’s find out what Fox Chapel Publishing is all about before we continue. “Fox Chapel Publishing publishes books, magazines, patterns, and videos for do-it-yourself enthusiasts. We inspire and inform readers who enjoy a variety of hobbies, crafts, and lifestyle interests including woodworking, jewelry making, scrapbooking, sewing, boating, back-yard farming, wine & beer-making, and much more. Our greatest joy comes from working with talented craftspeople to make their designs and techniques available for everyone who shares the love of creating things by hand. As you can see – this company published positive material, which is good since much of our society seems to dwell on the degenerate. And a lot of rural readers of this site are in fact, DIY’ers as well. So let’s take a look at the 12 books we received, which will be divided up into three groups: Faith-based journals, inspirational journals and coloring books, and Woodstock-themed journals. The faith-based journals have, as you would surmise, religion-based themes. Prayers, quotes from the scripture, and such. We received five different ones. Bless This Home, The Beloved Word, and God All Around Me are “guided journals,” have similar layouts inside, and are 128 pages. Plenty of space to write in, along with inspirations and colorful drawings. My Prayer Journal is quite different. Truly a prayer journal indeed. The first section has a chart where you list the people you pray for and why. Then, the bulk of the book is a structured diary, that allows you to “fill in the blanks” for things you’re grateful for, regretful for, inspired by, etc. Then at the end, is a handy 12-month calendar to jot down important things. Lastly – My Faith Journal is a 52-week guided devotional that has writing space on the left side, along with artwork you can color in. It’s the only paperback faith-based journal in the bunch. They’re all very well made, using archival-quality, acid-free 200-year paper. A nice touch in a world of ever-diminishing quality. The next batch of four journals from Fox Chapel Publishing involved simple “inspirational” styles. Two artists were featured. Ben Kwok of TangleEasy (a.k.a. BioWorkZ) and Angela Van Dam of Hello Angel. Each of these journals has a similar layout. Sections that have various questions, as well as featured works by the artist. “What have you stopped yourself from buying recently? Again, the same quality as the faith-based inspirational journals. Very nicely made. Last up – are three Woodstock-themed journals. A blast from the past for sure. The 50th Anniversary of Woodstock is in 2019, so it probably was a good idea for Fox Chapel to get a footprint in what will surely be an anniversary celebration. Smart move. Additionally – it seems many younger people are taking an interest in what happened long before they were born. The Freedom Journal – is a larger format, unlined hardcover. Has a picture in the front and back inside covers, and just plenty of space to write – or even sketch and draw. The Lovers Dreamers Artists Angels journal is narrower, with lined pages. Lastly, the Peace, Love, Music journal is the only paperback Woodstock journal, with a unique “dotted” format. It comes with suggestions on how to format the journal to your needs. Seems a bit complicated to put so much effort into creating your own graphs and legends, but some people might find that rewarding, the way others enjoy coloring. To each their own! All 12 of these journals have incredible quality paper. Overall – we like the fine folks at Fox Chapel Publishing. Their collection of publications are on the “up and up,” and can only make humanity better. We’re going to look into some of the other titles they have, such as woodworking and farming. They look very interesting! Bon & Viv Seltzer – worth the extra carbs?